text The text to edit. options An optional list of layout options that specify extra layout properties. Any values passed in here will override settings defined by the style. 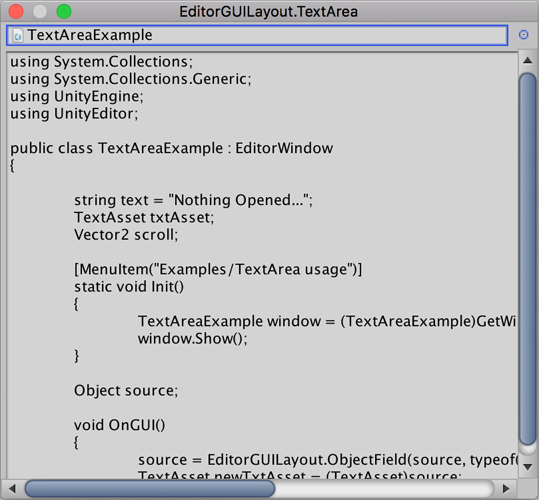 string The text entered by the user. This works just like GUILayout.TextArea, but correctly responds to Select all, Copy, Paste etc. in the editor. // This can be expanded to save your scripts also in the editor window.